It has quite an interesting bouquet of flavours from all over the place but they seem to work well and are quite balanced. I’d like to see a more aged expression and hopefully the price will go down a little once the gimmick factor wears off, but it looks like a promising whisky. Mineral peat. Sea breeze. Ozone. Fresh tar. Green herbs, parsley and sage. Old tarred wood in the sun, like those old wooden death trap jungle gyms one used to find in public parks. Bit of smoky lemons. Honey. Menthol. A bit thin feeling at first, but it build up to a nicer mouthfeel. Salt. Earthy peat. More tar. Old rubber. Pine cones. Wood ash. Lychees. Liquorice on the swallow. Ash. Bitter wood. Rubber. Citrus oils. Paraffin wax. ome very light fruit notes, white grape juice maybe. Good whisky, although it seems really coming out from an industrial process, leaving out the human touch of whisky industry. Nice start but a few more years in the barrel and it would be better. 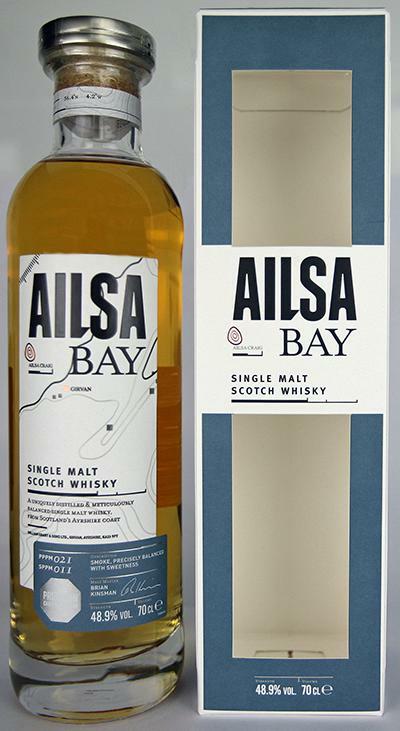 I reckon the 2nd Aisla Bay is better, haven't had it but based on my assumptions, it will develop into something more complex. Talisker like peat, salty, grainy and oily earth. Grainy peat earth texture and sea spray similar to a springbank/Talisker. Anise seed and bitter chocolate. No fruit notes, no floral notes, just dry firewood and charred wood. Light pepper and fired cashew nuts. Character: Undoubtedly a fine and, according to the manufacturer, apparently also very precise and elaborately produced single malt. 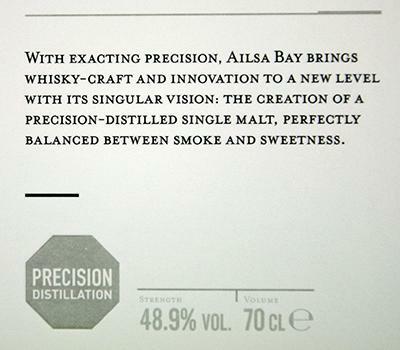 Its essence is a nice balance of moderate smoke and slightly sweet barley malt. But there is not much more. What an uncomplicated enjoyment and good drinking flow does not detract. Rating: For me, a bottling with some parallels to Port Charlotte An Turas Mor. In direct comparison, however, with a slightly less smoky-intensive finish and a slight bitterness that it would not have needed. Amazing is the good drinking flow. Possibly also driven by the (unsuccessful) search for further flavor nuances, 5cl are almost quickly disappearing with a record-breaking probability. Consequently, my conclusion: well suited for an uncomplicated, balanced smoky-sweet-malty drinking pleasure. 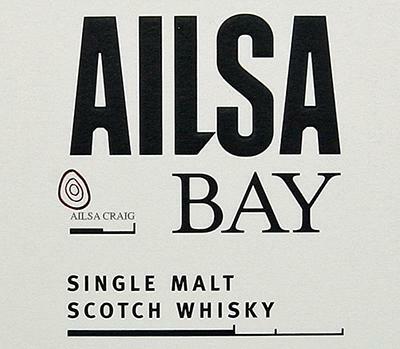 While not a candidate for a large bottle, I will keep an eye on Aisla Bay and future bottlings: the starting point is anything but bad. Today there are 83 points from me. 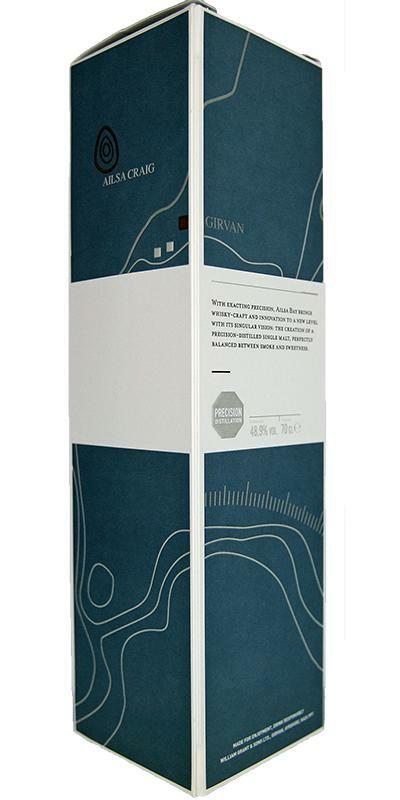 Description: The nose is carried by sweet malt and is surprisingly smoky right from the start. The sweetness is complemented by a pleasant tart grain note and something Herbales is also with the party. Trend heather, individual herbs, however, I can not really name. Is fruit included? With a little imagination a few apples. The oak somehow resonates slightly, but is strongly overlaid by the smoke-malt combination. Description: The first sip flushes surprisingly much peat smoke into the mouth. I suddenly remember Port Charlotte. For further sluts, the intense impression of smoke then decreases significantly. This bottling moves quite comfortably between two poles: said peat smoke (campfire) and slightly sweet barley malt. The intensity fits and the mouthfeel is pleasantly gentle. In the transition to the finish, it gets slightly woody and subtle develops a hint of nuts and almonds. However, many more flavors do not develop: the "Fruits" named by the manufacturer I do not recognize anyway and the vanilla flavor also described does not really want to be very clear. 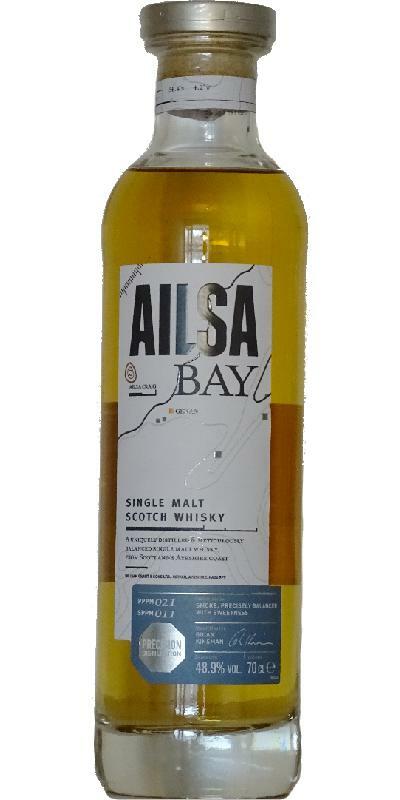 Description: The finish is medium in length and continues the taste consistently: moderate peat smoke and slightly sweet malt sound quite pleasant. Some nuts are also present. At the end of the day, there is a slight bitterness in the mouth.